Pula is a cheeky girl who has an inquisitive nature. 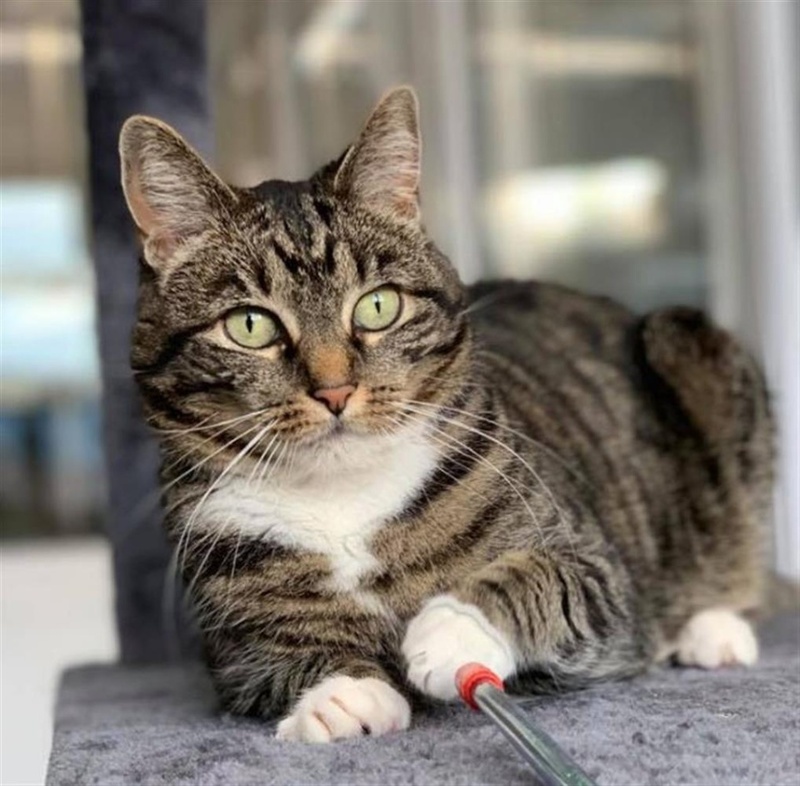 She is an anxious girl who isn’t too happy in the cattery as she’s not keen on other cats and would definitely prefer to be the only pet in her new home. She is a very intelligent girl who has even responded well to some clicker training with our staff. She can be quite feisty if she's anxious and would be better suited to a quiet adult only home, with an understanding owner who will let her have her own space and let her decide when she wants to interact. She is used to having access to a garden and likes to go outside to explore.